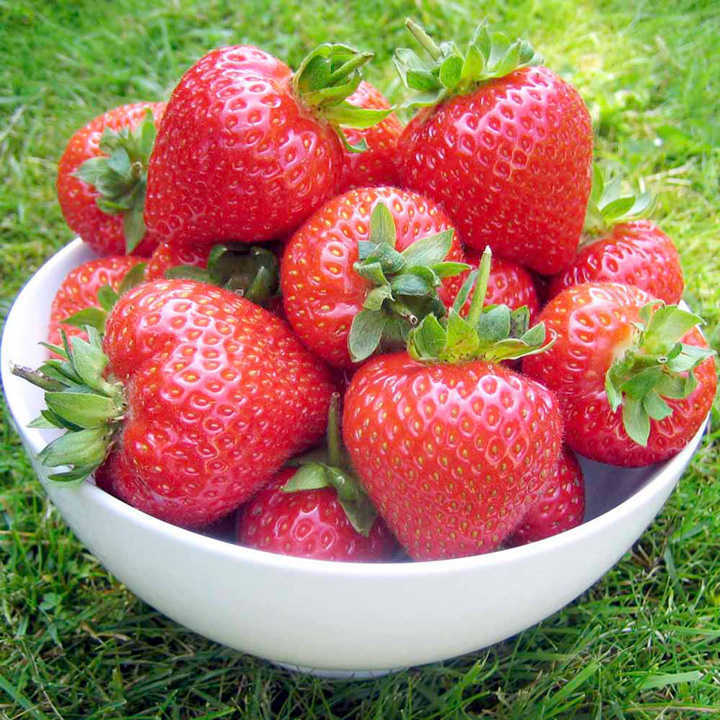 This superb strawberry will give you a regular supply of strawberries throughout the summer. British bred, it produces a good crop of large, bright red, deliciously flavoursome fruit. Equally tasty eaten fresh from the plant with cream or sugar, or for making jam. Why not grow a few plants on the patio and enjoy them freshly picked! Everbearer variety. Summer isn't summer without strawberries! Preparation for Planting: Plant strawberries 45cm (18") apart with 75cm (2½’) between each row. Choose a sunny, sheltered spot and dig in plenty of well-rotted manure or compost.